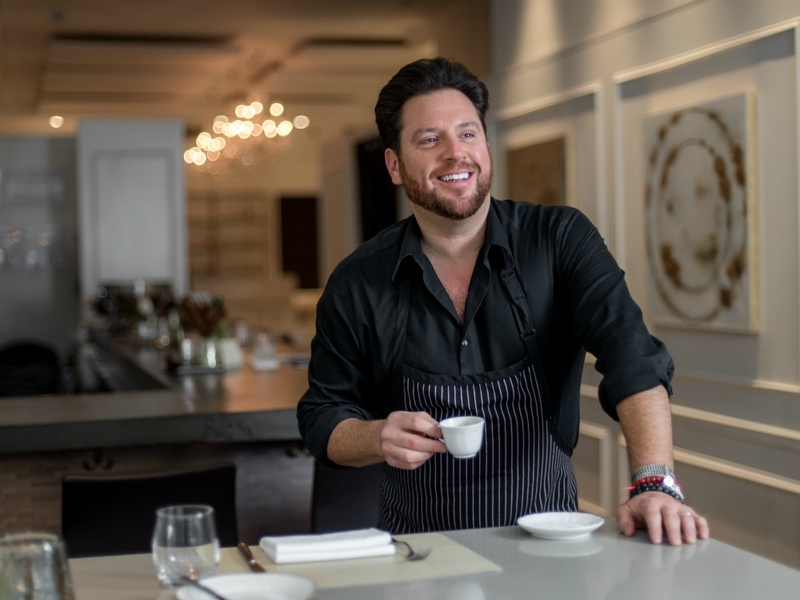 Celebrity chef, restaurateur, cookbook author, and TV personality Scott Conant is always on the move. From opening his new Masso Osteria restaurant at Red Rock Casino, Resort & Spa in Las Vegas to co-hosting Food Network’s Beat Bobby Flay and judging Chopped, the handsome chef has practically done it all. And now, Conant is heading to Sin City to host a special one-night dinner on October 10, alongside Philadelphia chef Marc Vetri, which will feature the chef's rustic approach to Italian food. The evening will also preview Vetri’s highly-anticipated second Vetri Cucina to open at The Palms in November 2018 as part of a $620 million renovation of the property. The four-course, prix fixe menu ($125 per person) will feature regional Italian specialties starting with a sweet onion crepe with white truffle fonduta and a squid and artichoke gallette. Vetri will showcase his spinach gnocchi with brown butter and shaved ricotta salata, handmade casconcelli, stuffed guinea hen breast with mushrooms, and cod with bean crema. Dessert will include Vetri’s chocolate polenta soufflé with vanilla gelato and polenta budino with hazelnut mousse.